We are so thankful for the opportunity to teach CPR skills to the community, healthcare companies, and individuals looking to master their life saving skills. We are overjoyed at the responses of the many people who have taken our classes. We're excited to announce that we have now received over 45 FIVE STAR reviews from employees, individuals, corporations, and more. Feel free to read some of the positive feedback below, or check out more testimonials on our website. "I had a great first time experience there. Greg was a very informative instructor. We went over a lot of material but I feel more prepared handling an emergency situation than before I took the class!" 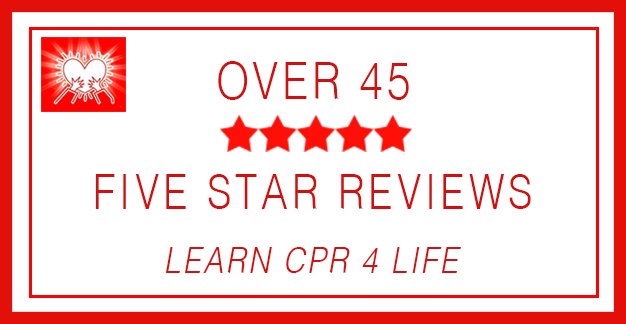 - Ariana V.
"I have taken CPR class every 2 years for 42 years. But not until I moved to the High Desert 10 years ago and started taking class from Learn CPR 4 Life did my skills become effective. This is the most professional, competent, entertaining class I have ever taken. I had the occasion arise to have to do CPR on a loved one. 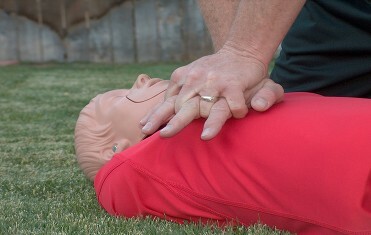 Learn CPR 4 Life prepared me for this. I was indeed prepared to be a competent rescuer." - Christine E.